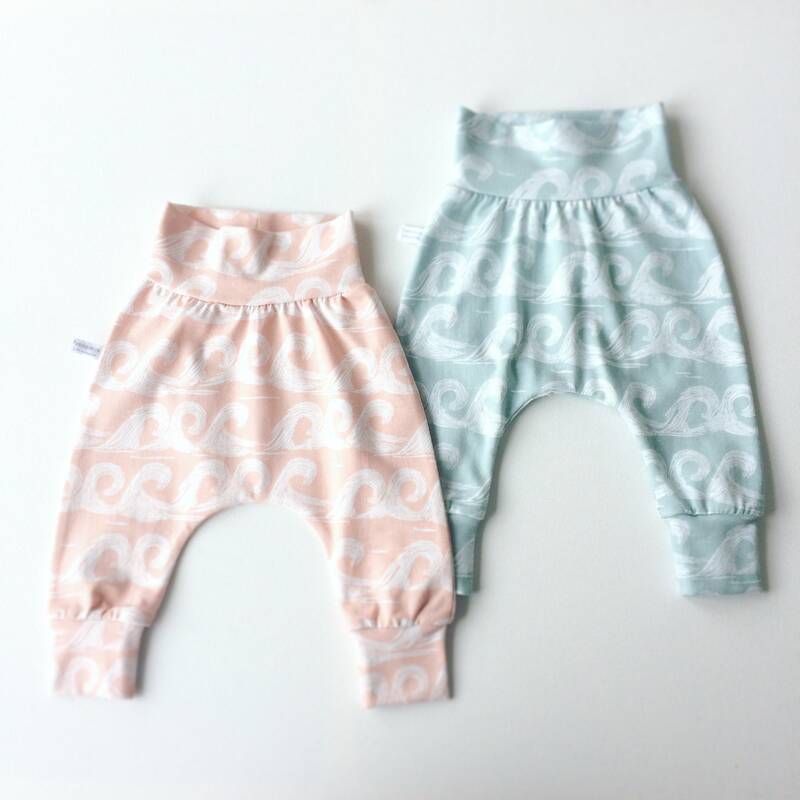 Baby harem pants with waves. Dusty pink pants with same fabric waistband and cuffs. Comfortable toddler pants. Jersey knit fabric. 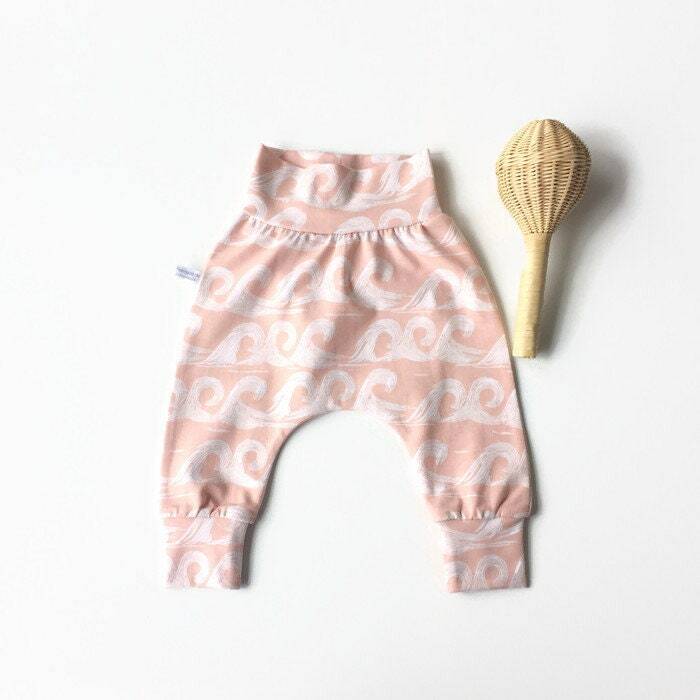 Super cool handmade baby harem pants of dusty pink organic cotton with waves. These pants are very comfortable. Your little one will enjoy wearing these! The pants are very soft and stretchy, and there's no elastic in the waistband.